LONDON: UK lawmakers have rejected a move to give the British public a second referendum on Brexit, dealing a blow to campaigners for a so-called People’s Vote. Members of Parliament voted 85 to 334 against a proposal to hold a new vote to break the deadlock in the Brexit process. The opposition Labour Party told its MPs to abstain from the vote. 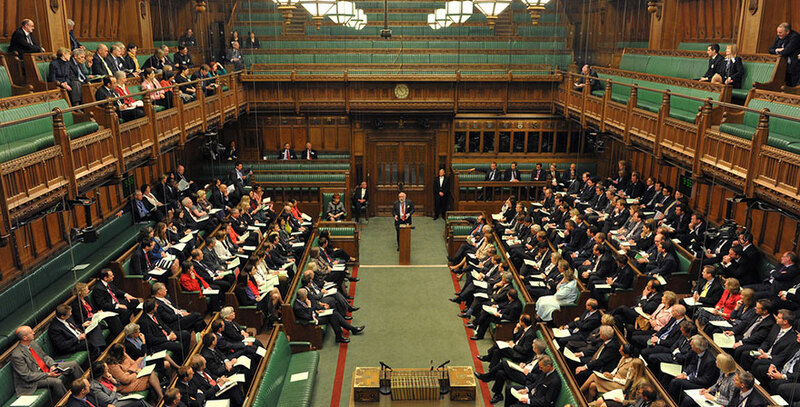 The cross-party proposal was the first time the House of Commons has held a formal vote on whether to endorse another referendum. But it was largely expected to fail. It was part of a series of rejected amendments to a government motion on delaying Brexit. Lawmakers rejected a move, by a margin of just two votes, to give Parliament the opportunity to take control of the process from Prime Minister Theresa May’s embattled government and hold a series of votes next week on various different Brexit outcomes. They also rejected a Labour Party amendment to give Parliament the opportunity to debate alternative Brexit plans, as well as a motion that could have blocked the Prime Minister from bringing her twice-rejected deal back for a third vote next week. Taken together, it was a rare moment of victory for Britain’s embattled and weakened Prime Minister. Speaker John Bercow infuriated MPs by allowing a vote on another referendum, drawing outcry from Brexiteers in the House of Commons. The fate of the proposal was sealed when the Labour party refused to support it, as part of a wider debate on whether to delay the deadlocked Brexit process. “Today is about extension and about the process … the Labour Party is supporting the public vote on any deal that gets through by the Prime Minister, but today is about a different issue,” Shadow Brexit Secretary Keir Starmer said. Even the official campaign group for a People’s Vote did not support the move. “We do not think today is the right time to test the will of the House on the case for a new public vote,” the People’s Vote campaign said in a statement.